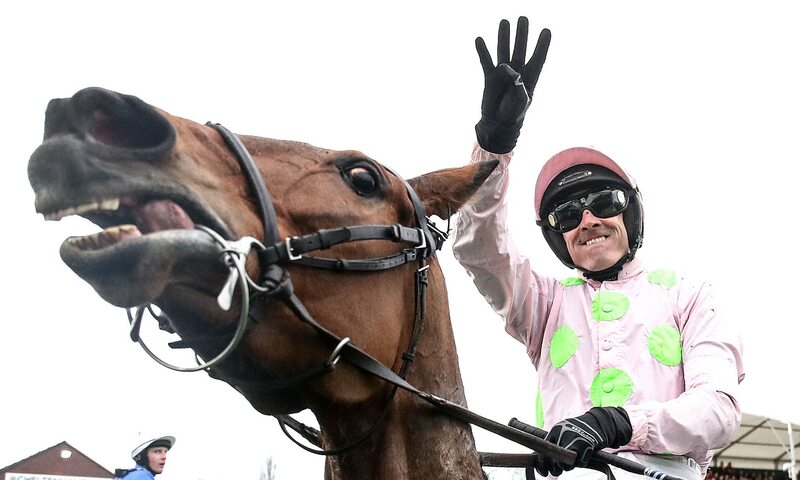 THE Leader Cheltenham Festival tips hit the bookies on day three of the 2017 racing showpiece with a TREBLE – of odds over 16-1 WRITES ANDREW ATKINSON, with Willie Mullins and Ruby Walsh coming up trumps. YORKHILL (6-4) trained by Mullins and ridden by Walsh won the the JLT Novices’ Chase (Grade 1). UN DE SCEAUX (7-4) won the Ryanair Chase (Grade 1) trained by Mullins, and ridden by Walsh. And The Leader completed a treble success when LET’S DANCE (11-8) trained by Mullins and ridden by Walsh, won the Trull House Stud Mares’ Novices’ Hurdle (Grade 2) – to complete a 16-1 treble. Ireland’s champion jumps trainer Mullins’ 70 stable staff will share a bonus of 50,000 euros after Let’s Dance’s success: “I’ve got to try and get myself on the payroll this week,” quipped Mullins. PHOTOGRAPHERS TOLD TO SNAP-OUT OF TAKING RISQUE PHOTOS AT THE RACES!